As always, this holiday season has a full line-up of theater and performing arts events and shows in the five boroughs. Here is a list of some happening through out the season that do not include any nutcrackers, armies of mice or sugar plum fairies. Spectacular is quite the understatement for a Christmas show that has Santa Claus, the Rockettes and a living Nativity. With ticket prices ranging from $45 to almost $400, it’s obviously not a show that most of us can budget every year. But it is one of New York’s most famous contributions to the holiday season and should be experienced at least once in a lifetime. The show runs until January 3rd, with four performances on Saturdays and Sundays starting after Thanksgiving. Buddy the Elf is back in mid-town, playing at the Theater at Madison Square Garden. Based on the book and holiday film, this musical follows a displaced elf looking for his real family in NYC at Christmas time. The show is a delight and the story is quickly becoming a holiday staple. Performances run from December 9th through 27th. Based on the popular book, follow Nancy as she plans Christmas for her family, but with some chaotic results. The Vital Theatre presents this fun-filled show at the Theater at St. Jean, located on 76th Street and Lexington Avenue. Running on weekends from November 28th-December 27th, “Fancy Nancy” is sure to be a holiday favorite. This show tells the story of the iconic writer as 12-year old with a big imagination. Working to support his family on Christmas Eve, young Charles learns just how important his stories are. Suitable for ages 8 to adult, the performance runs approximately 70 minutes without an intermission. The show, plays at Theater 3 on 43rd Street, runs on weekends from December 5th-January 3rd. Back by popular demand, “The Three Bears Holiday Bash” returns to the Swedish Marionette Puppet Theater in Central Park. This variety show is hosted by the three famous bears and features music acts by many of other fairytale friends. Performed by the company’s marionettes, the holiday bash celebrates all of the December holidays, such as Christmas, Hannukkah, and Kwanza. The show runs daily until December 30th, and is targeted at audience members ages 3-9. The Poppy Seed Players present a re-imagning of the Hanukkah story. 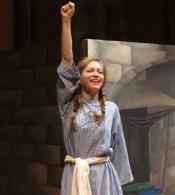 Told through the eyes of a young girl named Judy, the story tells the story of the struggles and miracle of Hannukkah. The musical is presented on Sunday, December 13th at 11am at the Kaufman Music Center. 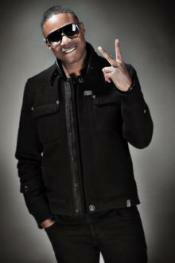 The American Museum of Natural History presents “the human beat box” Doug E. Fresh and the Harlem School of the Arts, as they ring in the new year at the museum’s Kwanzaa spectacular on December 27th. The celebration will guide audience members through the seven principles of the Kwanzaa holiday. The Classical Theatre of Harlem presents the world premiere of this Harlem-based holiday musical to the legendary Apollo Theater. This new musical re-imagines classic Christmas carols and tells the story of a family who receive the gift of love at Christmas time to help overcome tragedy. The musical runs from December 11th through 31st . Tickets are currently selling fast, so don’t miss out on this one! Featuring a narrator and a festive sing-a-long, the NY Pops will fill Carnegie Hall with a concert version of the animated classic for a one-night only event on December 20th. Like most concerts at Carnegie Hall, the prices are a bit steep (“value” tickets start at $104), however it is a unique event in a historic venue. This Staten Island Venue will be presenting two holiday classics this season. 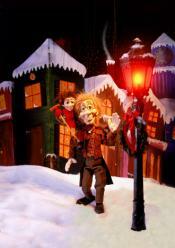 The Puppet People will be bringing their adaptation of “The Christmas Carol” on December 1st and 2nd. Along with their handcrafted marionettes, the performance also uses shadow puppets, masks and giant parade-style puppets to tell this enchanting Christmas story. On December 16th, “Charlie Brown’s Christmas” comes to life on stage. Three wonderful events are coming to Brooklyn this December. The world famous Vienna Boys Choir will be singing from their holiday repertoire on December 12th. The evening will feature folks songs, classical music, traditional and more contemporary holiday music. The Russian-language Christmas musical “The Snow Maiden” will be presented on December 20th. This wintry tale will combine traditional Russian songs, dances and costumes. Please note that this performance is in Russian with English subtitles. This performance, running for it’s 8th consecutive year, presents the holiday classic “word for word and gesture for gesture” and are accompanied by a jazz trio performing the iconic score. Performances are on a Friday-Sunday schedule from December 11th through the 20th at Redwood Studios in Brooklyn with three shows through out the day on weekends. Feeling like you can’t get away from the Christmas madness? Here are a few shows that will give you a respite from tinsel and carols. Cirque Mechanics, a modern circus troupe, presents “Pedal Punk.” The company transforms bicycles into acrobatic apparatuses. The steam-punk styled characters perform a variety of high-flying tricks and aerial acts. The show runs at the New Victory Theater in Times Square from December 4th through January 3rd. The run also features an Autism Friendly performance on December 20th at 5pm. The Brooklyn-based puppet company presents two shows on their schedule. “The Steadfast Tin Soldier,” playing at the Morgan Library and Museum in Manhattan on December 6th, is a heart-warming fairytale by Hans Christen Andersen. This performance is free with admission to the museum. The second performance, currently playing on weekends at their Brooklyn venue through December 20th, is the classic tale “Beauty and the Beast.” As with all of their performances, Puppetworks adapts these stories for marionettes and is suitable for children ages 4 and older. New York City Children’s Theater has adapted the children’s book of the same name for the stage in a blend of dance, theater and puppetry to tell the story of a Central Park Swan who dreams of becoming a ballerina. 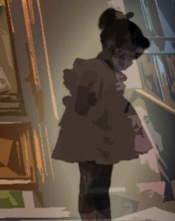 Running from December 12th through January 3rd is best for audience members ages 3-6.